This 4 7/8" beaker is of a type occasionally found used in churches. 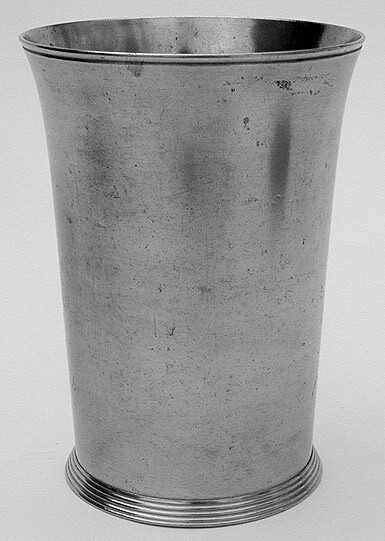 This is similar to the 5 1/4" beakers found both in Boston and Connecticut. Though unmarked it follows design characteristics frequently found on pewter by the Townsend group. It most certainly dates from the late 18th to the early 19th century.